Perhaps you’ve heard the word “Proanthocyanidins” tossed around while talking about health foods or seen it printed on a supplement lately. So what exactly are proanthocyanidins? They are condensed tannins, a class of polyphenols found in plants, and a class of nutrients belonging to the flavonoid family. But they’re important to human health because they’re actually powerful antioxidants that have shown to remove harmful free radicals from bodily cells. In fact, proanthocyanidins have approximately 20 times more antioxidants than vitamin C and 50 times more than vitamin E.
Where Do Proanthocyanidins Come From? 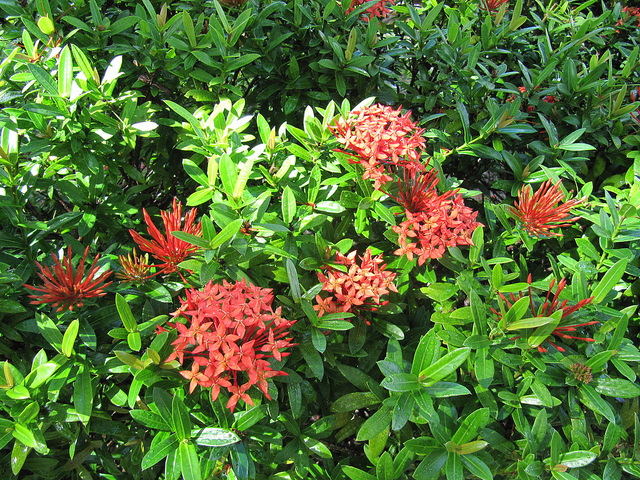 Proanthocyanidins are found in nature – in the fruits, berries, flowers, seeds, and leaves of many types of plants. A professor by the name of Jacques Masquelier first isolated these flavonoids in the 1930s and devised a technique to extract proanthocyanidins from plants. Proanthocyanidins as a supplement for nutritional use have been popular in Europe for a few decades but only more recently seeing an increase of use in the United States. How Do Proanthocyanidins Help the Body? Medical studies have suggested at proanthocyanidins can benefit the skin by promoting elasticity and protecting it from UV rays. They may also support joint health, tissue health, and blood circulation. A study published in Biofactors, for example, suggested that proanthocyanidins may support cardiovascular functioning, impact the inflammatory processes, and can help protect the body from various conditions. These substances are commonly called “free radical scavengers,” which means that proanthocyanidins bond with free radicals and limit their interactions with healthy cells in your body. Fortunately, some of the delicious foods you’re already eating contain proanthocyanidins and you might not have even realized it! These are some of the best food sources to get more proanthocyanidins in your diet. According to the University of Michigan Health System, proanthocyanidins supplements have been used for regulating many different body systems in our body. 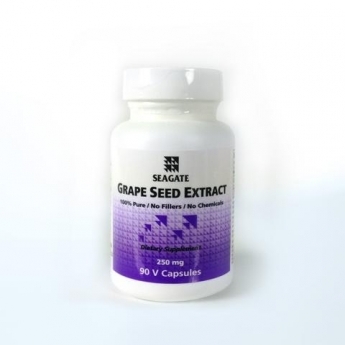 Grape seed extract (GSE) is rich in proanthocyanidins, and one of the easiest ways to consume the all parts of the grape fruit is in capsule form. 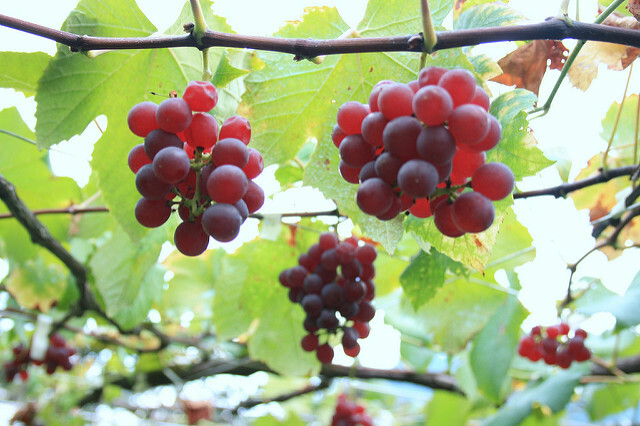 With pure supplements with no fillers or chemical processes, you get all of the antioxidant benefits of the grapes’ seeds and skin without any artificial colors or ingredients. Pomegranates are fruits that have been widely used for their therapeutic properties and not surprisingly, contain proanthocyanidins as well. Pomegranate extract and juice have been touted for their high antioxidant content. But the often-discarded peels of pomegranates actually have the most proanthocyanidins. A few years ago, a study published in the International Journal of Pharmacy and Pharmaceutical Sciences was conducted to devise a process to extract the polyphenols and proanthocyanidins from the pomegranate’s peel for the best health benefits. But if you don’t want to go through all that trouble, simply pick up a bottle of our Pomegranate Capsules, which are made from whole pomegranates – pulp, seeds, skin, juice, and all. Every part of this fruit is beneficial to your health, from the seeds and their juice sacs, to the peel and the oil contained in the skin.